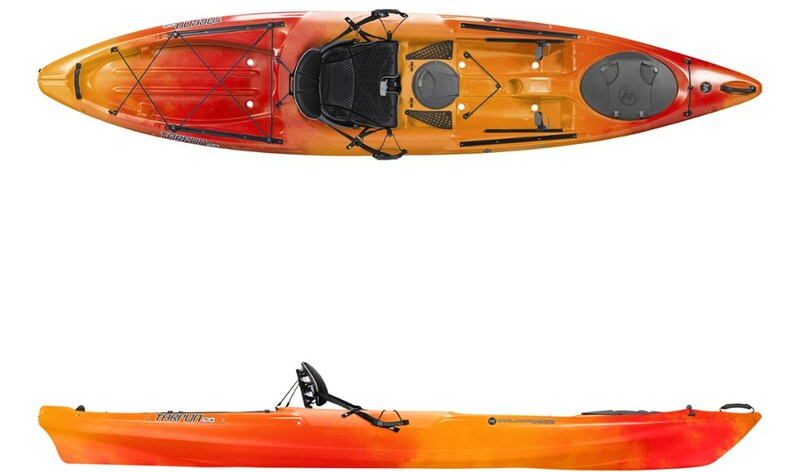 The Cascadia sit-on-top kayak is a stable, all-around kayak everyone in the family will love. 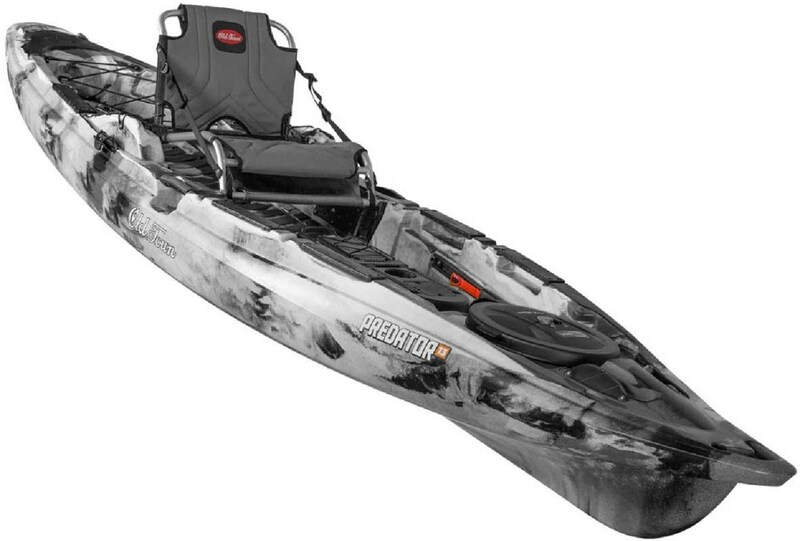 Recommended for ponds, lakes, slow-moving rivers and in light surf. 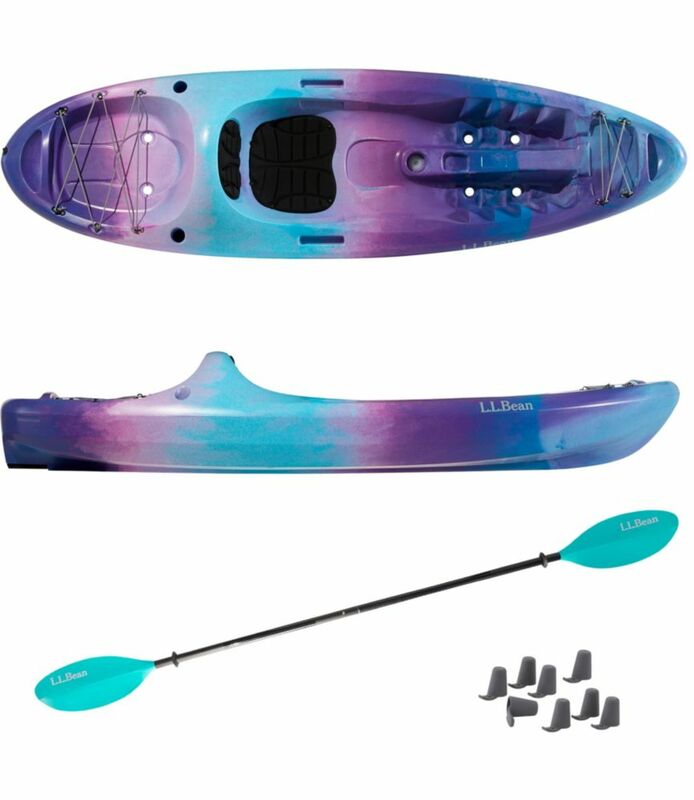 Package includes kayak, 8 scupper plugs and one L.L.Bean Kayak Paddle. Made from durable rotomolded polyethylene. 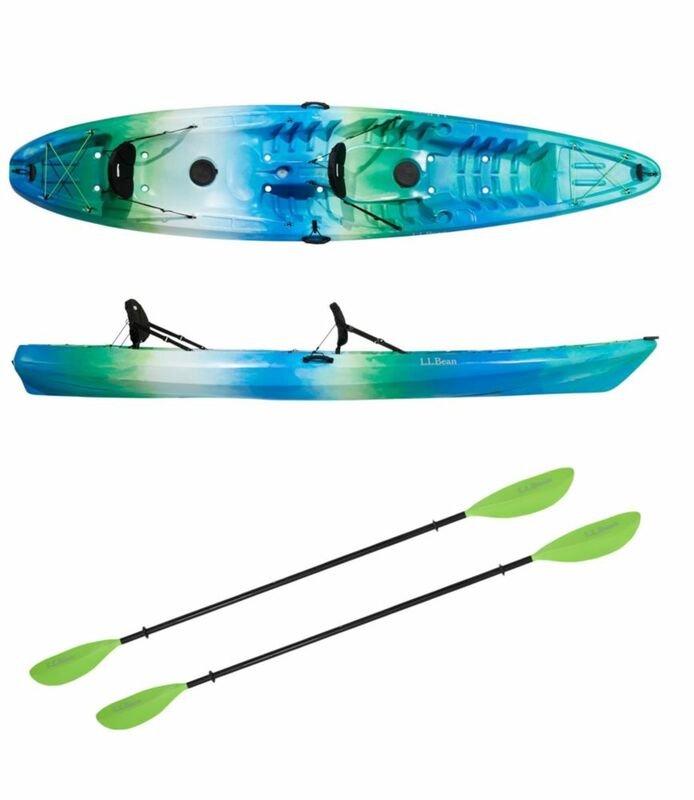 Paddle has a sturdy, lightweight aluminum shaft and lightweight asymmetrical fiberglass/nylon blade. High-back molded seat with padding at base and back. Roomy storage wells fit plenty of gear. Deck bungee fore and aft for securing gear. 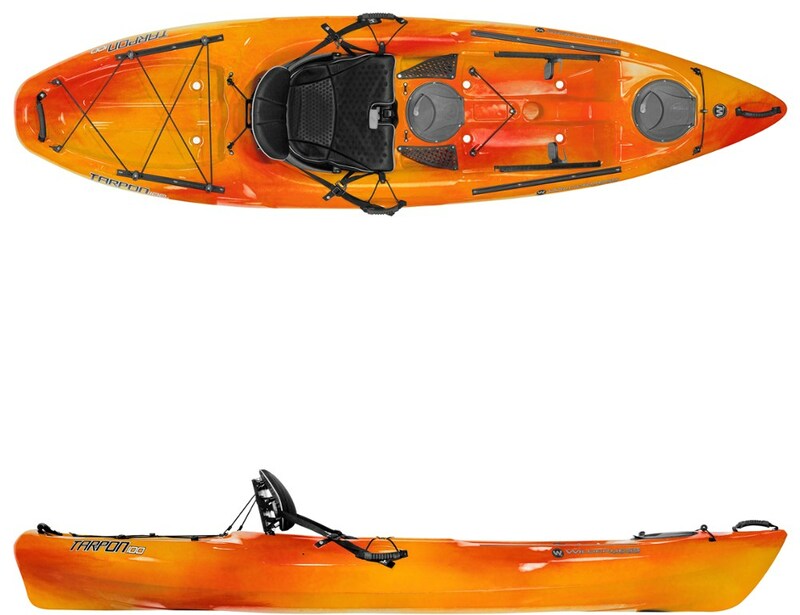 Molded-in carry handles at bow and stern and on both sides. Molded-in cup holder. Two molded-in and recessed rod holders behind seat. Skid plate for durability. 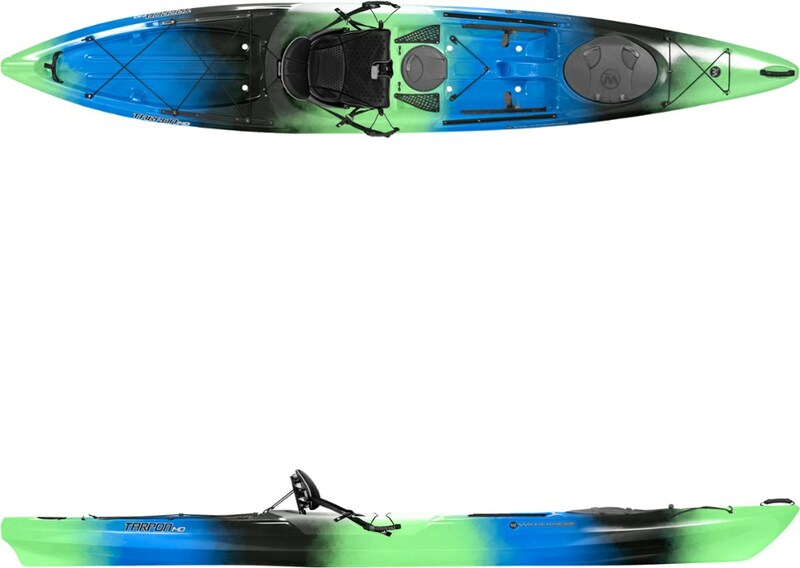 Two-piece paddle can be feathered 60 for left- or right-hand control. 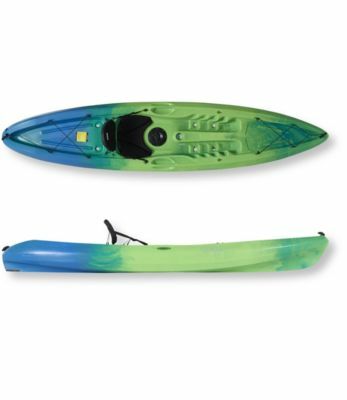 Paddle comes with White blades with Red/Yellow kayak and Lime blades with Blue/Lime kayak. Imported.